Appeared last spring, the smartphone HTC Sensation has recently evolved into a variation Sensation XE with a processor increased to 1.5 GHz and the integration of sound technology Beats Audio. 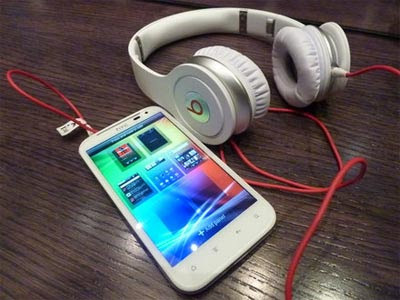 Today, HTC announced the release in early November a new version, this time called Sensation XL. Main difference from its predecessors: the size of the screen, which increased from 4.3 to 4.7 inches. This is the screen of the HTC Titan, a smartphone running Windows Phone 7.5 Mango also marketed by HTC, as defined in 800 x 480 pixels. The Sensation XL, it will be equipped with the Android operating system version 2.3, together with the overlay software house Sense 3.5, as the XE has a 1.5 GHz processor, an internal memory of 16 GB and it measures less than a centimeter thick. It also incorporates technology Beats Audi and has a photo sensor 8 megapixel sensor with a wide angle 28 mm. It will be delivered with Beats Solo.